The lightweight & portable 3 inch grid display that can display anywhere! 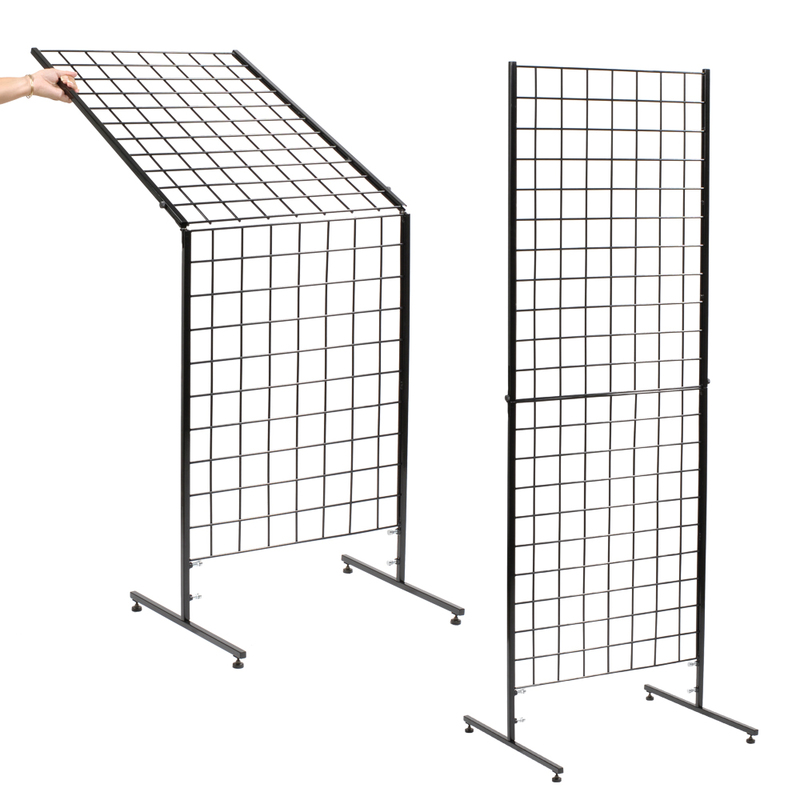 Grid and Go display is the only lightweight folding portable grid merchandiser display that folds for easy set up and take down. Simply release the two pin locks, fold the grid panels and removing the legs. No Tools required. Removing the legs is as simple as pulling the locking pins to release. Weighs only 20 pounds - 10% lighter than a traditional grid panel display. Add your choice of grid accessories to display all your products. Accepts all 3 in. on center grid accessories. Blue nylon carrying case included for easy transporting. 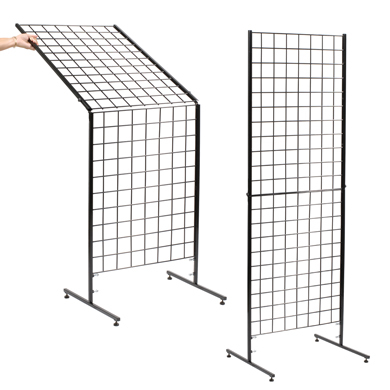 The Grid and Go display folds down to 23 1/2 in. W x 36 in. H x 1 1/2 in. D. Patent number 9,271,584. Weight capacity is approximately 80 - 130 pounds. For many more products, we encourage you to take a moment to view our entire selection of Portable Displays at Specialty Store Services now. Easy to assemble! Click here to view the assembly video.